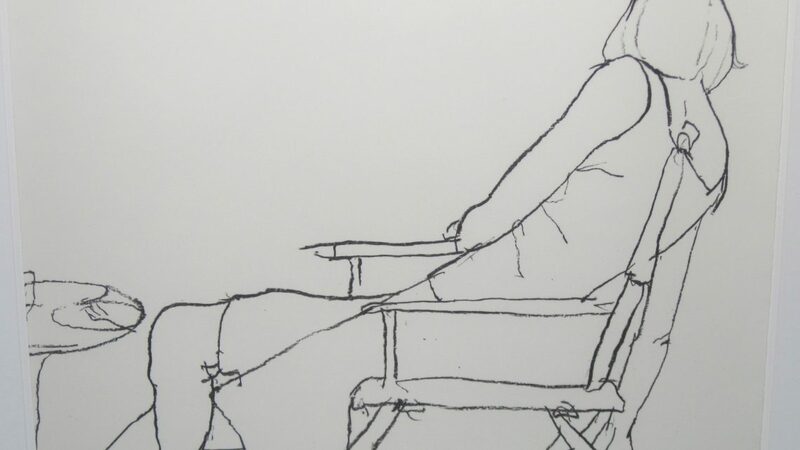 Richard Diebenkorn, Seated Woman, 1968. Lithograph, edition of 20, 19 3/4 x 25 inches. Courtesy of 871 Fine Arts. 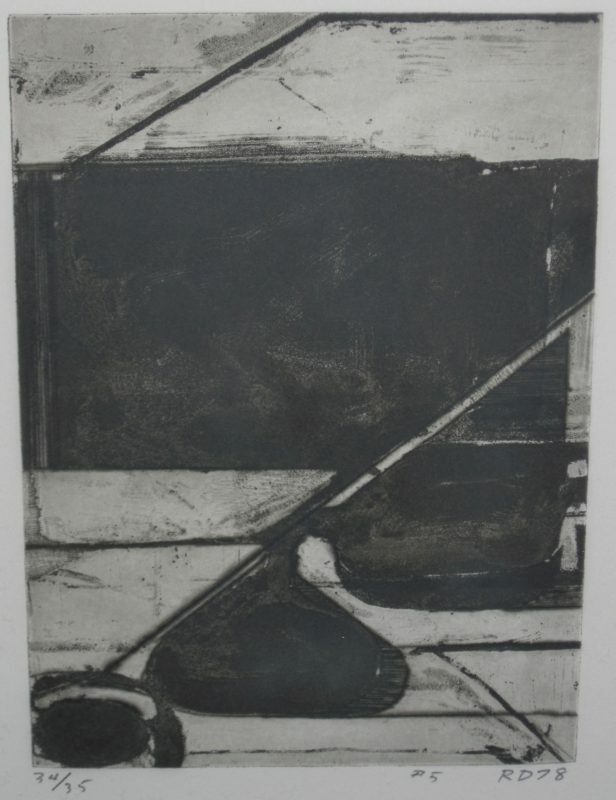 April 6, 871 Fine Arts opens Early Prints, an exhibition of printmaking work by Richard Diebenkorn. Diebenkorn was born in Portland, Oregon, and served in the Marine Corps from 1943 until 1945; upon his return, he utilized the support of the G.I. 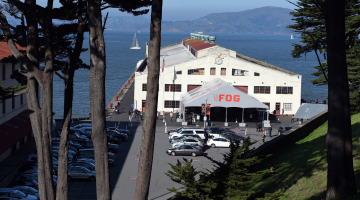 Bill to attend the California School of Fine Arts (today the San Francisco Art Institute). He would eventually become a teacher there, alongside Clyfford Still, Elmer Bischoff, Hassel Smith, Edward Corbett and David Park. He lived and worked in Berkeley from 1953 to 1966, and produced many of his best-known works during this time. 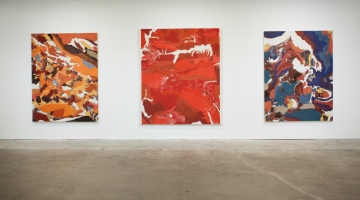 His interest in printmaking was sparked while attending the California School of Fine Arts, and he maintained a printmaking practice throughout his career, often working at Crown Point Press in San Francisco and Gemini GEL in Los Angeles. Early Prints presents a selection of Diebenkorn’s early printmaking work, including lithographs, etchings, and aquatints. 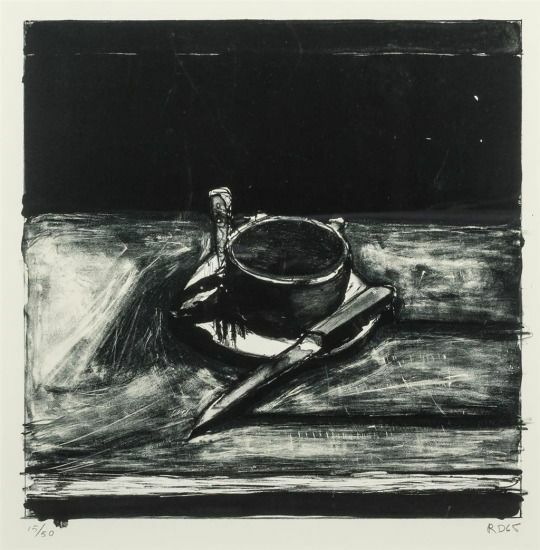 Richard Diebenkorn, Cup and Saucer, 1965. 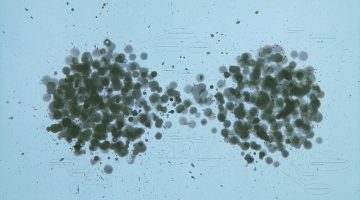 Lithograph, edition of 50, 12.5 x 12.5 inches. Courtesy of 871 Fine Arts. 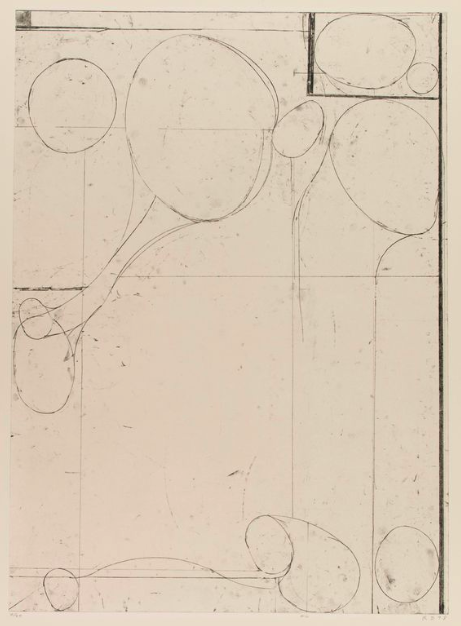 Richard Diebenkorn, #4, from Six Softground Etchings, 1978. Etching, 40 x 25.875 inches. Courtesy of 871 Fine Arts. 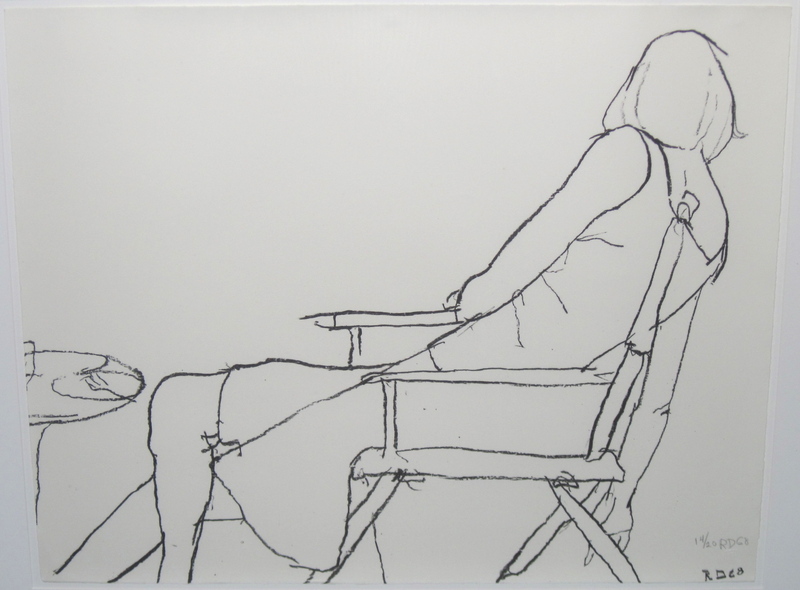 Richard Diebenkorn, #5, from the portfolio Five Aquatints with Drypoint, 1978. White ground aquatint and drypoint with scraping, 19 x 33 inches. Courtesy of 871 Fine Arts. 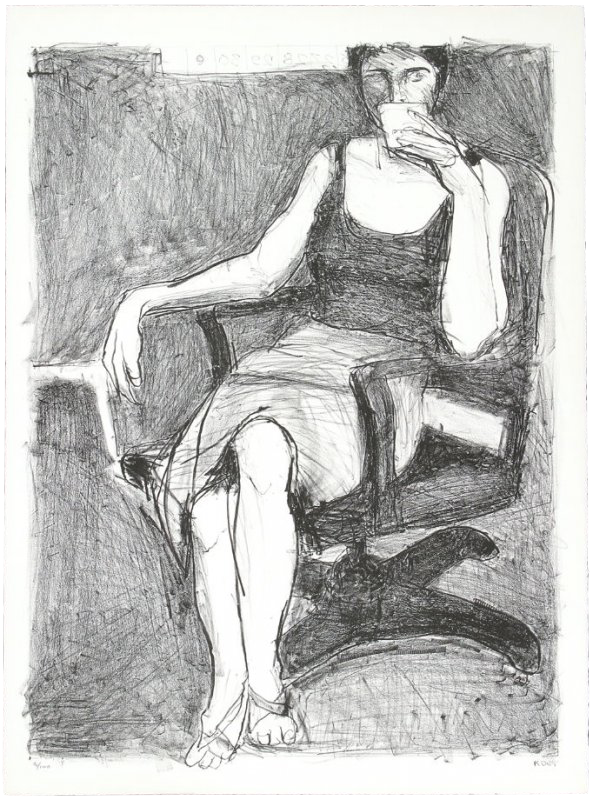 Richard Diebenkorn, Untitled (Seated Woman Drinking From A Cup), 1965. Lithograph, 30.125 × 22.5 inches. Courtesy of 871 Fine Arts.